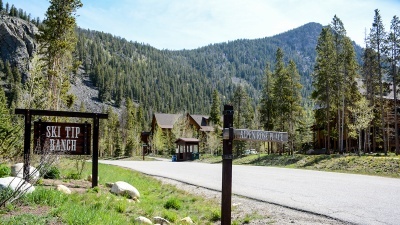 Ski Tip Ranch was the first lodging in Keystone, set up originally as a stage stop in the 1800s. When Keystone Ski Resort was just a twinkle in the founder's eyes and Arapahoe Basin was the only ski area in the county, Ski Tip Resort was the only lodging in east Summit County. Now it is home to one of the finest retaurants in the county, lodge-style accommodations with a great backyard, and also a surrounding low-density townhome neighborhood. Check out the Ski Tip Ranch real estate listings available below, or read more about this thrilling alpine community! Ski Tip Townhomes for sale can be from t wo to four bedroom, and have more than 1,000 square feet, quality modern construction and a garage. Build in the neighborhood of the historic ski tip ranch neighborhood, these homes are situated along the Snake River and offer great views of the surrounding mountains including those that form the Keystone Ski Resort. Shuttles operate throughout Keystone and offer Ski Tip Ranch homeowners the opportunity not to drive but to get anywhere needed in the Keystone area. Recreation opportunities abound in Keystone: fishing along the Snake River, skiing on the mountain - more than 3,000 acres of one of the most popular resorts in North America - a countywide bike path, two golf course, Keystone lake and plenty of opportunity for hiking and ski touring in the surrounding mountains. On the east side of Keystone's expansive ski reasort, the Ski Tip Lodge is now a charming, rustic, upscale bed and breakfast - a 10-room guesthouse furnished is true Victorian retro and comfort. The lobbies and lounge areas with stone fireplaces are cozy and communal. The restaurant prepares breakfast unparalleled service. 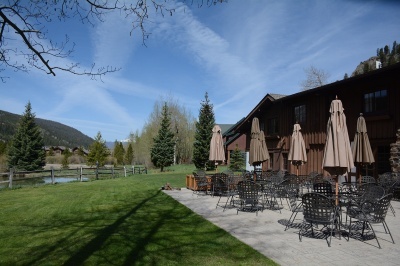 Ski Tip is able to accommodate a total of 26 guests, making it perfect for family reunions or any other group retreat. If you'd like to learn more about living in Ski Tip Ranch, take a moment to contact Breckenridge Associates online or call (800) 774-7970 or (970) 453-2200 to connect with an experienced real estate professional.